All you need is love - and a healthy heart! FREE heart check with a vet. The check up includes a complete physical examination. The vet will use a stethoscope to listen to your pet's heart and evaluate the sound and rhythm, strength and heart rate. Your pet's pulse will be assessed. The vet will also listen to your pet's breathing rate and lung sounds. Should the vet detect any abnormalities such as a heart murmur or abnormal rhythm, they may recommend further tests. The offer is available until 31st March - please book an appointment! 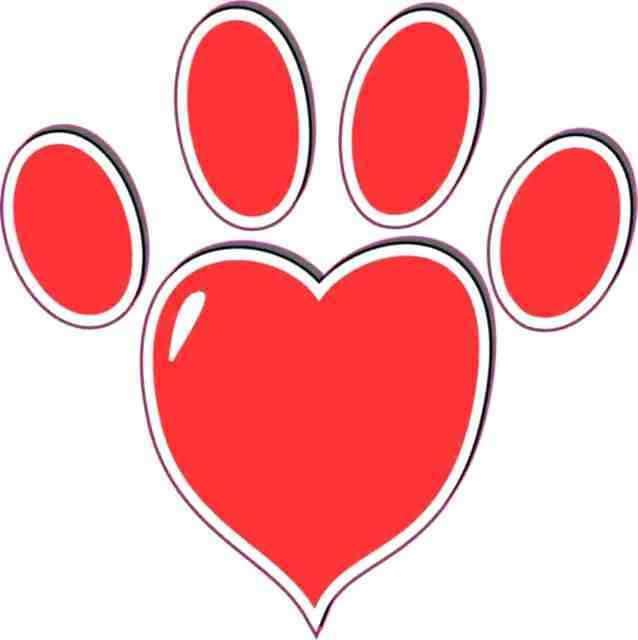 Should your pet require any of the above heart related tests, this will be at a 10% discounted rate. Just like humans, an animal's heart acts like a pump to push blood around the body. The heart's pumping power lies in its muscles. These are normally thick and powerful, helping the blood reach as far as the outer extremities of the body. The right side of the heart sends blood to the lungs where it picks up oxygen. 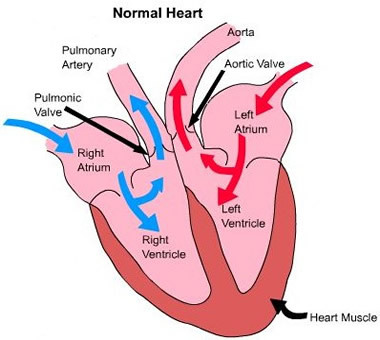 The left side of the heart pumps the blood around the body. Inside, the heart is divided into four chambers. In between the upper and lower chambers are the heart valves, which open and close in sequence to make sure that the blood flows in the right direction. 💖The normal heart rate of a dog is between 60 – 140 beats per minute. The smaller the dog, the higher the heart rate! 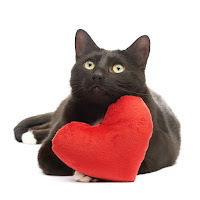 💖A cat’s heart rate is between 110-180 beats per minute. 💖The heart is part of the circulatory system, along with the lungs and blood vessels. 💖The heart acts like a pump to drive the blood around the body. With each heart beat, it delivers blood rich in oxygen and nutrients to all the vital organs and tissues, keeping our pet's fit and healthy. 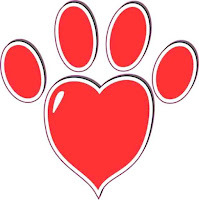 It is estimated that heart disease can affect up to 10% of dog and cats in the UK. Some heart diseases may be present when the animal is born (congenital), however the majority develop in adulthood (acquired). Heart disease can also be secondary to another condition such as high blood pressure, thyroid disease, infection and anaemia. 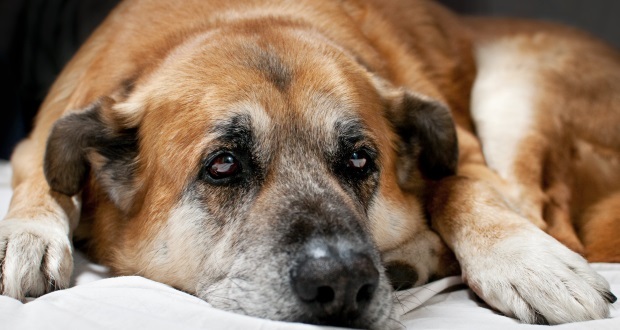 This is the most common heart disease of dogs. This leads to degeneration and thickening of the heart valves. The mitral valve is mostly affected and as such the condition is also known as mitral valve disease. The heart valve becomes leaky and allows blood to flow in the wrong direction through the heart. It most commonly affects small breeds as they reach middle-older age, however it may be detected in the Cavalier King Charles Spaniel at a younger age. The heart muscle becomes weak and stretched, decreasing the heart’s ability to pump blood through the body. It typically affects medium - large breed dogs. blood properly through the body. Heart disease can be present in our pets for a long period of time before they show any signs of a problem. The body is good at compensating for any slight changes to blood flow and heart contraction early on, until eventually clinical signs develop. This is why it is important that your pet has regular visits to the vet, at least annually, as early detection of heart disease will help make it easier to manage. New studies have shown, in some cases, starting heart medication before the signs of heart disease develop can delay the onset of symptoms. *Rapid/fast breathing - often noticeable when the animal is resting. *Restlessness - taking several attempts to get comfortable. * Swelling of the abdomen - becoming 'pot-bellied' in appearance. This is due fluid build up as the heart begins to fail. * Pale gums rather than the normal pink. (These symptoms can also be seen in other diseases, which is why it is important that if you notice any changes in your pet's health or behaviour, you bring them in for a health check). 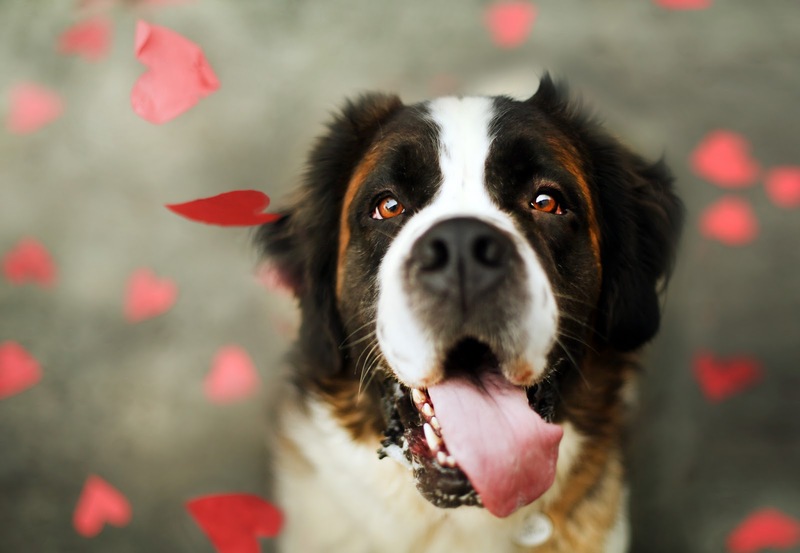 While there is not a cure for heart disease, the aims of treatment are to slow down the progression of the disease, manage the symptoms and help maintain the pet's normal quality of life; the earlier this treatment is started the better. Regular check- up appointments are essential to ensure that any changes in the animal's condition are identified early and medication adjusted or introduced accordingly. Disclaimer: The contents of the Arden House animal hospital website are for informational purposes only.The content is not intended to be a substitute for professional veterinary advice, diagnosis, or treatment.Always seek the advice of your veterinary surgeon with any questions you may have regarding your animal’s medical condition. Never disregard professional medical advice or delay in seeking it because of something you have read on this website. Thirteen year old Twinkles is October's pet of the month after successfully completing a weight management programme. Twinkles' weight had crept up to 7.2kg ( in August 2017) and at home he was lethargic and lacklustre. With there being an increased risk of developing health issues such as diabetes, heart disease and arthritis, vet Cathy advised that Twinkles be put onto a diet and exercise plan under the supervision of senior nurse Dayna. At his first visit to our 'podgy pets' club, Dayna assessed Twinkles' body condition score and weight. Regular and accurate weighing of cats is important, however, the weight of the cat is only part of the story. The weight of a healthy adult cat can actually be quite variable - from less than 3kg for a small cat to more than 6kg for a large cat. On a 9 point scale where 1 is underweight and 9 is obese; cats should ideally maintain a body condition score of between 4 and 5. Dayna measured Twinkles score as 8/9. 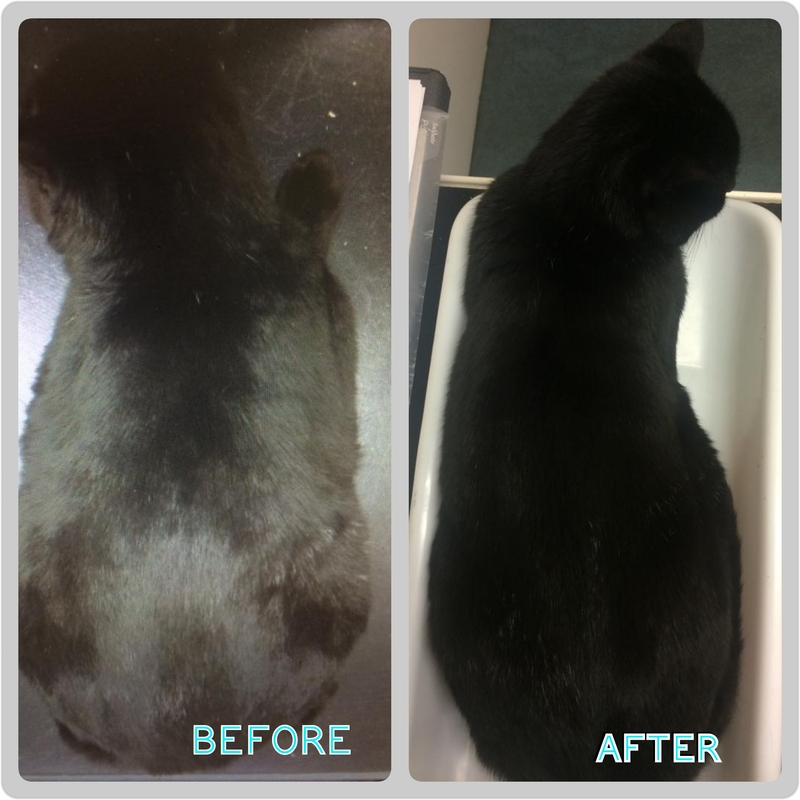 As a result, Dayna decided that Twinkles would benefit from being placed onto a prescription diet food called Satiety that is precisely developed to provide optimum protein, energy and other nutrients for adult cats following a weight loss programme. It is also designed to help satisfy hunger. 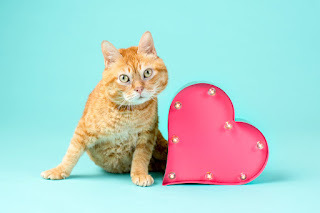 Switching a pet to a new food should be done gradually as a sudden change in diet can cause a dietary upset or refusal to eat the unfamiliar food.Twinkles preferred wet food and adapted very well to his new diet. Dayna gave Twinkles' owner exact instructions on how much food to feed him each day and recommended that the daily amount be divided into 3 - 4 separate servings so that he wouldn't have to wait too long between meals. To help keep his begging at bay, Twinkles was allowed a measured amount of dry satiety biscuits that his owner placed into food puzzles to encourage him to work for a treat and bring out his foraging instinct. Dayna arranged to see Twinkles evey 2-3 weeks so that she could monitor his progress and adjust food quantities accordingly. This is very important as she didn't want him to lose weight too quickly - losing weight rapidly can cause health complications. On the other hand losing weight too slowly can be disheartening. Dayna set a target for Twinkles to achieve at each visit to ensure his weight loss was at a gradual controlled rate and it was very rewarding to see him progressing in the right direction. Twinkles' owner encouraged him to exercise by providing him with toys to get him moving. His activities included catnip mouse stalking and fishing rod toy chasing! After 5 months (January 2018), Twinkles weight was 6.05kg and his body condition score, 6.5/9. Along with the physical changes in his body shape, Twinkles was more active ande surprised his owner by jumping up onto the back of her arm chair, something he hadn't attempted to do in the past. Twinkles has continued to do well and in October he reached his target weight of 5.5kg - an amazing total weight loss of 1.7kg! He has rediscovered his inner kitten - from a cat that wanted to sit all day, he is now more mobile and playful! Being less able to groom himself effectively when he was overweight, Twinkles coat was dull, but it is now noticeably shiny and soft . Twinkles name could not be more apt, he is such a star and a much deserved pet of the month! Also, a big well done to his owner for her dedication to Twinkles weight loss success. With the colder winter weather some of us will be noticing our joints are feeling more achy and the same will be true of our dogs and cats. Cool weather can leave joints especially stiff and tender, meaning an increase in discomfort for pets suffering from arthritis or even highlight that you pet is suffering from the condition. 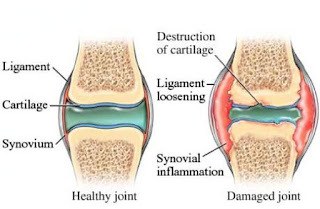 Osteoarthritis, or degenerative joint disease, is the inflammation of the joints caused by wear and tear of the cartilage and the other associated tissues. 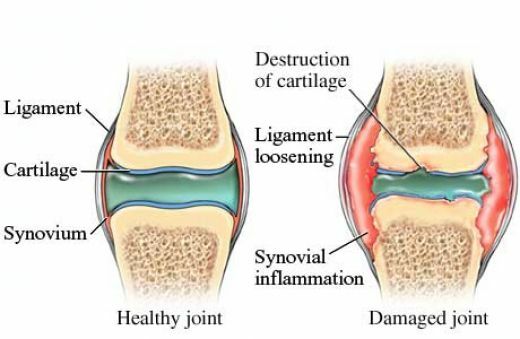 Cartilage covers and protects the ends of the bones in a movable (synovial) joint. The cartilage has no nerves so when it touches the cartilage of another bone, there is no pain. When the cartilage wears away, the bone is exposed. The bone does have nerves so when the two bone ends in a joint touch each other it results in pain and inflammation – signals that arthritis is present. In degenerative joint disease we also see small bony projections (osteophytes) form on the bone that is close to the joint. This adds to the pain. This type of arthritis is progressive, meaning it continues to get worse. Osteoarthritis is either age related as a result of wear and tear on the joint, or secondary to another problem within the joint, such as hip dysplasia, a ruptured cruciate ligament or trauma. Arthritis by its nature develops gradually so animals tend to learn to cope with the discomfort without showing any obvious pain. As a result some dogs and cats can appear to be very stoical about the pain from arthritis- often it is only once the pain has been treated that owners realise how much their pet was suffering. 🙀 Lose ability to jump up to, or down from heights. We recommend a visit to see one of our vets if any of these signs (or other changes) are noticed in your pet. Your vet may suspect that your pet has arthritis from the signs you describe and by performing a thorough health check. The vet will manipulate the joints gently to check for swellings, heat, evidence of pain, range of movement and crepitus (a grating feeling when the joint is manipulated). Sometimes it is necessary to take an x-ray to find out what is going on in the joints. This usually requires a sedation or general anaesthesia and a separate day appointment is arranged for this. The goal of treatment is to decrease pain, minimise lameness, improve mobility and provide a good quality of life for affected patients. Arthritis cannot be cured. Weight control: Dogs and cats that suffer from chronic pain caused by conditions like osteoarthritis often become inactive, which can result in obesity. Controlling your pet’s weight will lighten the load on arthritic joints and make it easier for them to move around. We appreciate that reducing the weight of an animal that finds exercise painful is not easy. Please speak to a member of staff about our weight clinics which are run free of charge. We will be happy to give ideas regarding diet, weight targets and design exercise strategies to suit your pet, as well as providing help and support whenever required. Exercise is essential because it contributes to strengthening the muscles that support joints. Moderate amounts of low-impact exercise each day will improve joint mobility and can help get a lethargic, arthritic pet active again. 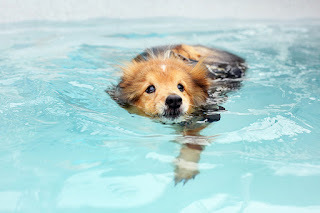 Dogs will benefit from such activities as walking and swimming (hydrotherapy) ; cats can profit from play that keeps them moving without excessive jumping. Consult your veterinary surgeon about what amount and type of exercise would be best for your pet. Also, be aware that your dog or cat’s arthritis pain may be more severe at certain times than others. If this is the case, let your pet take a break from his or her exercise routine for a few days, until the painful flare-up subsides. Medications known as non steroidal anti-inflammatory drugs, (NSAID), are often prescribed to reduce the pain and inflammation associated with arthritis. Their efficacy is well documented. Any reduction in pain at the lowest possible dose will allow for an improved quality of life and limit any possible unwanted side effects. Before use, your pet will be assessed for their general health and regularly monitored whilst on any medication. Please ask your veterinary surgeon for more information. Please note: It is NOT safe to give your pet human anti-inflammatory (NSAID) medicines. 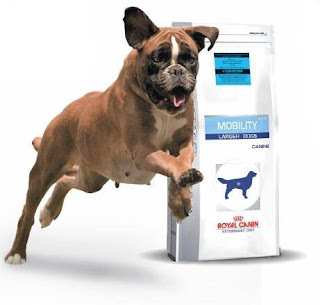 There are particular diets such as the Royal Canin Mobility that can really improve the signs of arthritis. It contains both nutrients that help with the inflammation, including anti-oxidants, and helps with weight management. Do speak to your vet. Joint supplements (nutraceuticals) are also found to be very good in some cases. These nutritional supplements are especially useful in the early stages of the disease or when recovering from a joint trauma (including surgery). They can be used solely as a preventative measure too. These supplements often include ingredients such as glucosamine and chondroitin that are useful in supporting the health of the cartilage and surrounding structures. The regulation of such supplements is limited and as such the quality may vary greatly from one manufacturer to another. One should always use those recommended by your vet. Make sure that you provide a well padded cosy bed, out of draughts. Ensure that it can be readily accessed. Allow your cat to reach their favourite places easily by placing a box or item of furniture as a launch pad. Make sure that your cat can reach their litter tray easily and check that the sides aren't too tall; that they are able to step into it comfortably. Reduce the need for your pet to have to climb the stairs. 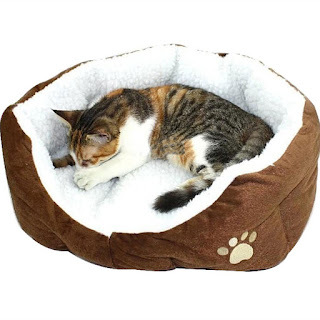 Allow easy access to food and water without the need for your cat to jump up. If your dog appears unsteady when out walking or has difficulty on uneven surfaces, a harness may offer them additional support by distributing any pressure from the lead over a larger area. This means that you may be able to assist them in keeping their balance making it easier for them to walk on uneven surfaces or going up or down stairs. If you have laminate, wood or vinyl flooring that your dog is slipping or sliding on, you could consider the use of rubber backed mats, particularly where your dog would lie down, turn or stand to eat, to help them grip the floor. If your dog is having difficulty reaching their bowls on the floor, you could consider raising the bowls a little off the floor or there are a variety of raised bowls on the market, to find a more comfortable height for them to eat and drink at. Consider a ramp to aid your dog getting into and out of the car. Spend some time cleaning and grooming your pet. Check their claws to see that they aren't becoming overgrown. Encourage play and interaction to provide exercise and mental stimulation. Have regular check up's; it's important to maintain communication with your vet to ensure that your pet is enjoying their senior years. Hydrotherapy (which involves your dog swimming in a purpose-built pool) helps to build muscle mass to better support joints. Swimming is low impact and so tends to be more comfortable for dogs with stiff joints. Other therapies, such as acupuncture, could be considered. Your vet will be able to discuss which therapies will be most appropriate for your pet and where you will be able to find them locally. 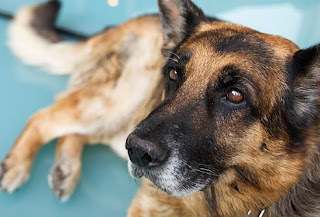 Once arthritis has started, it cannot be cured, but if we notice the signs early and manage it carefully, we can slow down the progression of the disease, greatly reduce the symptoms and so improve your pet's quality of life.